trying something new instead of their normal summer fair. 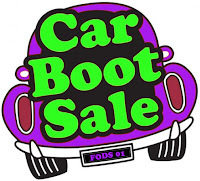 In place of the annual festival, the Friends Of Dorchester School (FODS) are this year going to stand apart from the crowd and hold a Summer Market and Car Boot sale. The sale is being held on Saturday 27th June from 12-3pm. People interested in having a stall at the market can apply and will need to collect and return a booking form from the office and pay a pitch fee. Pitches are limited and are allocated on a first come first serve basis. Please contact FODS on friendsofdorchesterprimary@gmail.com for more details.